Negotiating can inspire a sense of dread in even the most seasoned professionals. But there’s a lot to be gained from facing your fear. 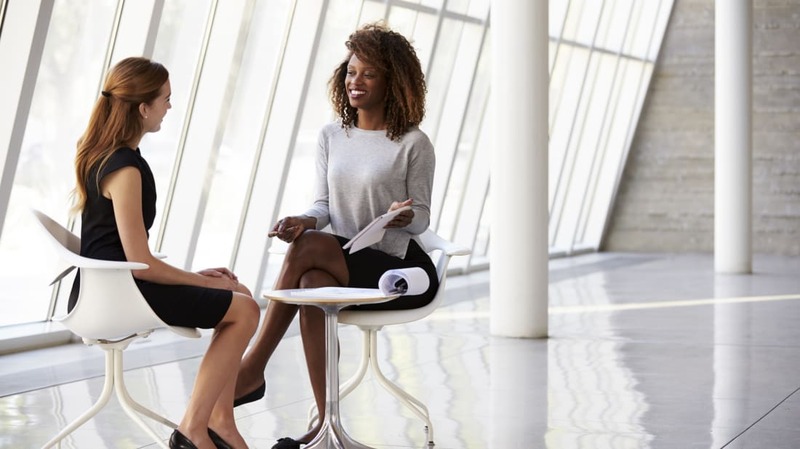 Studies have found that even negotiating for just $5000 more on your first salary can turn into an additional $634,000 over the course of a 40-year career. Even so, online surveys have found that 49 percent of job candidates never even try to negotiate initial job offers. Whether you’re negotiating your salary at a new job or seeking a promotion, don’t let anxiety get the best of you. Here are some winning strategies to help you feel more confident advocating for yourself. REFRAME HOW YOU THINK ABOUT NEGOTIATING. It is common to view a negotiation as a competition: “I want something, my counterpart doesn’t want to give it to me, one of us will win and one of us will lose.” When you view a negotiation as inherently adversarial, it’s easy to feel uncomfortable—and to get defensive. So reframe it. Think of the negotiation as a collaborative problem solving process. Your boss or hiring manager has a role that needs to be filled and goals that need to be met. You want to do that role for a certain amount of compensation. How can you help that boss or hiring manager with his or her problem while also leaving the negotiation better off? To figure that out, you need to understand what both you and your counterpart are looking for. In order to get the pay you deserve, it’s imperative to know your market value, or how much people in similar roles in the same industry are making in your geographic area. There are several websites that can give you an idea of what that range might be, but they are compiled, average salaries. To get a more accurate idea of your market value, tap into your network or an industry association to see what your peers are making. Recruiters can also be a great source of information. They know what people with your experience are worth, so see if you can get them to share a salary range with you. Your research will likely lead you a range of salaries that represent your market value. Resist the urge to ask for something in the middle because it feels less greedy or more likely to get you an offer. Assuming you’ve performed strongly enough to be considered for the role or the raise, it’s likely that you’re entitled to top pay. Plus, employers will likely negotiate you down, so you need to leave some room to compromise and come up with a salary you’re satisfied with. IDENTIFY WHAT YOUR EMPLOYER NEEDS. The job description is a good start, but take it a step further. During your interviews (or performance reviews), ask “diagnostic questions” to suss out your employer’s needs, preferences, and priorities. For example, you could ask, “What are your biggest priorities right now?” Or, “What can I do to make your job easier?” Not only will you better understand where your employer is coming from, you’ll be able to speak to how equipped you are to meet those specific needs. FOCUS ON WHAT YOU CAN BRING TO THE TABLE. Be ready to sing your own praises. Make a list of all the skills you have mastered, your accomplishments, and the results you have produced. You may have been in the same role for four years, but that alone isn’t reason enough to get you that promotion. Focus on the value you bring to the company or your team and have evidence to back it up. Don’t confuse negotiating a job offer with negotiating a salary. A great deal of job satisfaction comes from other factors that you can also negotiate. Focus on all of the facets of the opportunity: responsibilities, location, hours, opportunities for growth, support for continued education, etc. Maybe your employer won’t give you the raise or the salary you were hoping for, but you can ask for more vacation time, bonus incentives, stock options, or a later start date. Prioritize what components are the most important to you and determine what trade-offs you’re willing to make. For example, would you be willing to accept fewer vacation days if you could work from home one day a week? When negotiating the salary for a new job, your potential employer or recruiter may ask you about your current salary. Although it (probably) goes against everything you’ve been taught, you’re under no obligation to disclose what you’re currently making. In fact, New York City and the state of Massachusetts have both made it illegal for government agencies to demand a job applicant’s salary history, as the practice of doing so often penalizes women and minorities—both groups that have historically been undervalued and underpaid. If you are asked what you make in your current role, deflect as politely as possible. Let the interviewer know you’re happy to address your target salary range, and that you’d prefer to focus on the value you can bring to a new employer. Once you have made the ask, resist the urge to say more. The seconds that pass after you counter pitch a higher salary can be agonizing, but staying quiet will appear more confident than nervously filling the silence or following up too soon. Same goes for when you’ve been given an offer. Even if you’re thrilled with the offer, don’t immediately say, “OK!” Trying saying, “Hmmm,” suggests one salary expert. Give yourself a moment to think and really process what the offer is. Who knows? Maybe the employer will sweeten the deal. REMEMBER, YOU’RE NEGOTIATING FOR OTHERS, TOO. If you feel shy or hesitant to ask for more compensation, think about how getting a better deal will impact others like you. This is especially true for women, who actually tend to outperform men in representational negotiations—that is, when they are negotiating on behalf of someone else, like a client or organization—between 14 and 23 per cent. DON’T WAIT FOR YOUR ANNUAL REVIEW. Many people will wait until their performance review to ask for a raise. The problem is, by the time you and your boss are sitting across from each other for the formal review, he or she has likely already decided what raises will be given. Get a head start and talk to your boss a month or two before your review so that he or she can factor your request into the budget. No one is a natural-born negotiator. It’s a skill that must be honed. Enlist a friend to role play the conversation so that you can get comfortable with your talking points and get constructive feedback. The more you go over your outline, the more comfortable and confident you’ll feel walking into your negotiation—and that’s priceless. Save your negotiations for the workplace. The Discover it card will match all of the cash back you earn, dollar for dollar, at the end of your first year—you don’t even have to ask. Visit Discover to learn more.